Which Famous Reefer-Loving Rapper Are You? Are you the joint roller in your group? Who rolls the nicest blunts? I let my friends handle that. I don't smoke them, so I don't roll them. Which part of the country are you from? How often do you dab? Every once in a while when I want to get really stoned. Do you own any nice dab rigs or bongs? All of my glass is heady. Expensive glass is a waste of money. How much weed do you really smoke? More than anyone I know. Two hits and I'm done. Filter or no filter in your joint? No filter means more room for more herb! What rolling papers do you prefer to roll with? Favorite time to get high? You got Action Bronson! You love collecting expensive dab rigs and taking fat globs when you're not rocking the stage or the studio! You got Snoop Dogg! You enjoy cruising and smoking fat blunts. Plus, you can smoke anyone under the table, and you're not afraid to let people know it! You got Wiz Khalifa! You prefer to smoke Raw cones, and even have your own branded line of papers to stuff with your branded cannabis strain. Keep Pittsburgh cloudy and light one up! You got B-Real of Cypress Hill, which means you enjoy taking hits from the bong and taking names later. You're also a huge fan of glass filters in joints, and you're always exposing your smoke circle to new cannabis trends. 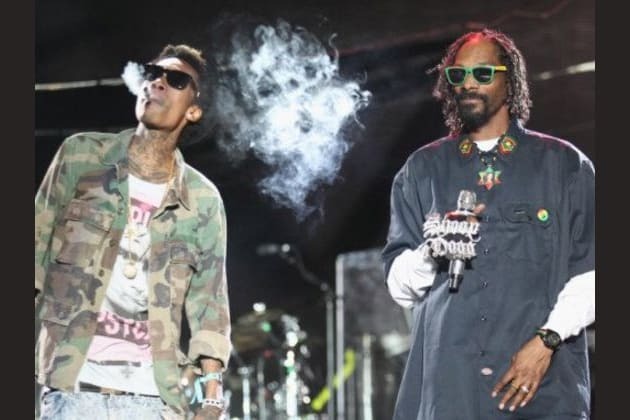 Ever wondered which stoner rapper you are? Take this quiz to find out!